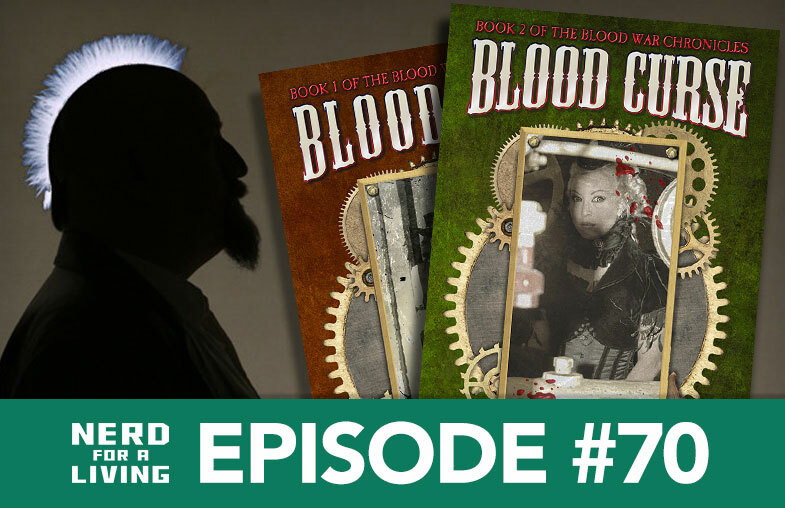 Quincy J. Allen, Author of "Blood Curse" and "Blood Ties"
In this episode, Adron talks with cross-genre author Quincy J. Allen. 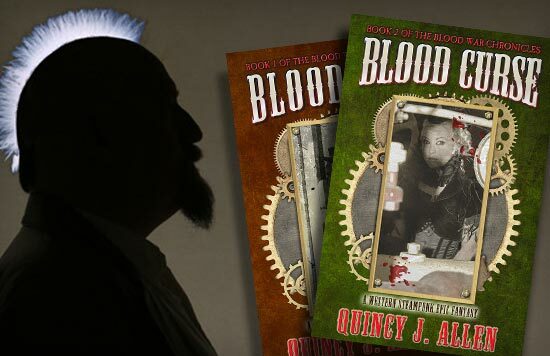 Quincy just released Blood Curse, a western steampunk epic fantasy. It’s the second book in his “Blood War Chronicles” series, published by WordFire Press, which is the publishing imprint from superstar writers Kevin J. Anderson and Rebecca Moesta. Blood Curse is available now on Amazon, Nook, Smashwords and Kobo. Quincy isn’t just a writer, though. He’s part of the WordFire Press machine that we’ve seen do amazing sales at comic conventions, which are often challenging environments for prose writers. Quincy creates the book layout design for all of Wordfire’s offerings, manages their warehouse, and is constantly on the road, working their impressive displays at cons. We’ve been wanting to talk with Quincy for awhile, and finally had the chance back at Kansas City’s Planet Comicon. We recorded this interview on the convention floor, so please forgive the noisy background. It’s an interesting chat with a guy who didn’t start pursuing a professional career in writing and publishing until his mid-forties. We talk about juggling multiple aspects of a demanding career, realistic goal setting to guide his progress, and life on the road as an introvert who talks to hundreds of con-goers at every show. 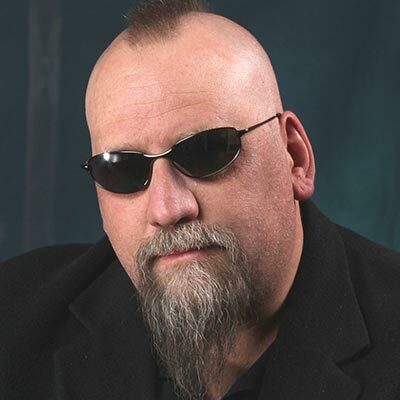 Quincy J. Allen, has been published in multiple anthologies, magazines, and one omnibus. His first novel Chemical Burn was a finalist in the RMFW Colorado Gold Contest. He made his first pro-sale in 2014 with the story “Jimmy Krinklepot and the White Rebs of Hayberry,” included in WordFire’s A Fantastic Holiday Season: The Gift of Stories. He’s written for the Internet show RadioSteam, and his first short story collection Out Through the Attic, came out in 2014 from 7DS Books. He works as a Warehouse and Booth Manager by day, does book design and eBook conversions by night, and lives in a cozy house in Colorado that he considers his very own sanctuary — think Bat Cave, but with fewer flying mammals and more sunlight.